OTTAWA - Ottawa Redblacks running back William Powell was talking earlier in the week about how they needed to get their offence back on track. Friday he let his play do the talking. 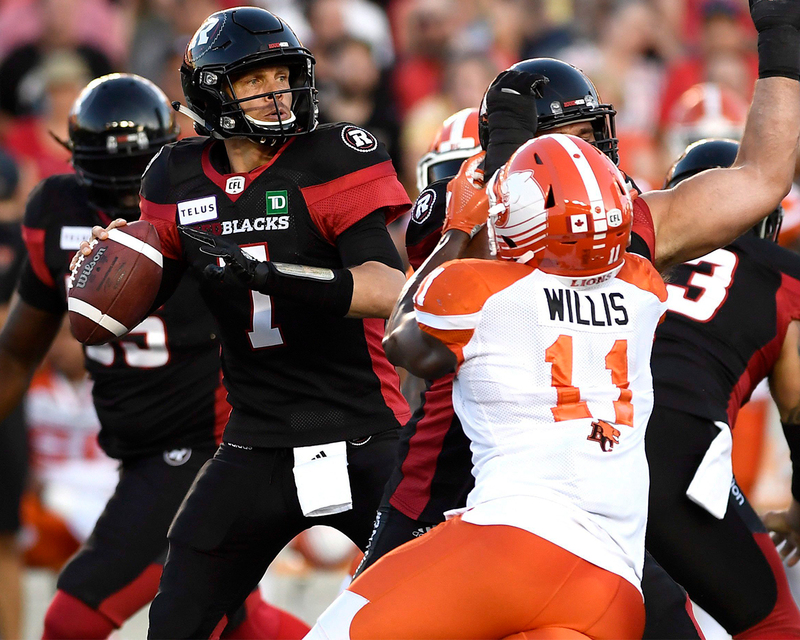 Powell rushed for 50 yards and scored a two-yard touchdown run in the final minute of the game to give the Ottawa Redblacks a 29-25 win over the B.C. Lions on Friday night. He also had seven catches for 61 yards while Lewis Ward kicked five field goals. "We're going to go back to the drawing board and put a big emphasis on that we want to get touchdowns instead of putting three on the board and kicking field goals,'' Powell said. That was certainly the case Friday as the Redblacks improved to 3-2 while dropping the Lions to 2-3 and handing them their eighth loss in their last nine road games. "We have a new attitude and everyone believes. When the chips were down we came back and won,'' Powell said. After Tyler Long kicked a 20-yard field goal giving the Lions a 25-22 lead with 1:59 to play, Trevor Harris drove the Redblacks 80 yards on eight plays capped off by Powell's two-yard run for the win. Harris finished with 363 passing yards and a touchdown. "The parity in this league is amazing. The close games we've got to be able to pull it off and tonight we did so we have to take a lesson from it, which we talked about as a team after the game,'' Harris said. Travis Lulay threw for 325 yards and two touchdowns for the Lions, including a 78-yard catch-and-run play to Emmanuel Arceneaux inside the final three minutes that led to the Long field goal. There was a time count violation that led to a loss of down on the drive taking the ball out of Lulay's hand for one more shot at the end zone. "We had too many dropped balls. I don't know that we stalled, but at times we just didn't capitalize on plays and it hurts us along with the time count violation that cost us a chance to go for seven,'' Lions coach Wally Buono said. An incomplete pass on third down by Lulay with 25 seconds to play sealed the win for the Redblacks. Lewis Ward's fifth field goal of the night, this one from 36-yards out, tied the game 22-22 for the Redblacks four minutes into the fourth quarter.